Shouldn’t the finest moments be preserved with the finest details? 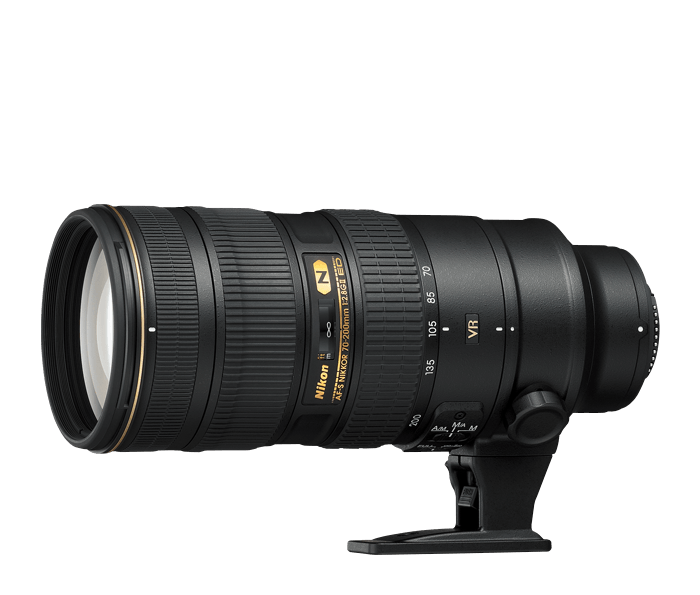 An update to Nikon’s legendary f/2.8 fixed aperture telephoto zoom lens, the AF-S NIKKOR 70-200mm f/2.8G ED VR II captures stunning full-frame images with remarkable speed. Nikon VR (Vibration Reduction) image stabilization provides 3.5 stops* of blur free handheld shooting, assuring dramatically sharper still images and HD video capture. No matter what you’re shooting, you’ll capture it with uncompromising speed and precision—at any focal length. Photos and HD videos captured with the AF-S NIKKOR 70-200mm f/2.8G ED VR II are second to none. The lens draws peak performance from advanced D-SLRs for exceptional sharpness, contrast and color rendering. From its enhanced autofocusing (SWM), VR II image stabilization, Nano Crystal Coat (N), Extra-low Dispersion (ED) glass and more, the AF-S NIKKOR 70-200mm f/2.8G ED VR II will broaden your shooting potential and inspire some of your most impressive shots yet. Nothing says versatility more than when shooting events. The AF-S NIKKOR 70-200mm f/2.8G ED VR is able to take close shots at 70mm but its also perfect for zooming in to capture shots from a farther - unobtrusive distance.